Statue Baby Jesus with open arms and rag 28 cm. 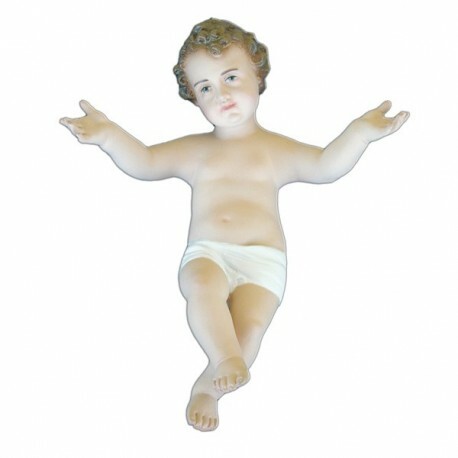 Statue Baby Jesus with open arms and rag, of resin, 28 cm, handmade in Italy. WHILE STOCKS LAST! Full resin statue, printed and hand perfected by skilled artisans, who delete the imperfections. When the statue is perfectly smoothed it is carried to the coloring section, where it is hand painted with indelible varnishes, according to the classical iconography. The resini s a plastic material, which is solid thanks to hardener substances. It is resistant to the atmospheric agents. The difference with the fiberglass is that it does not contain the fiber.